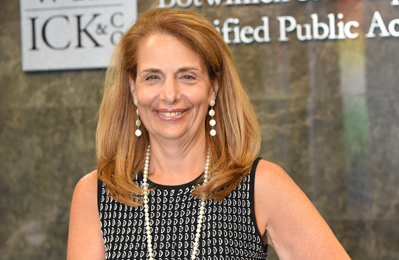 Debbie began her career at Botwinick & Company, while attaining her B.A. at Fordham University in 1973. Realizing her passion for accounting she returned to college and earned a second degree in accounting from William Paterson University. According to Debbie, the greatest part of being an accountant is helping her clients achieve their goals and have a successful business. She achieves this through her solid knowledge of a business’ day-to-day operations. Her expertise lies in accounting, tax-services, both corporate and individual, outsourced accounting and bookkeeping services, Quickbooks Consulting and Bankruptcy Reporting.